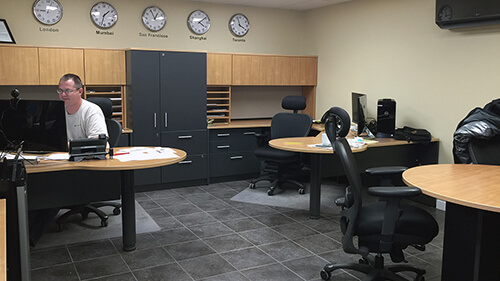 Reduce mining facility maintenance costs and disruptions caused by flat tires. 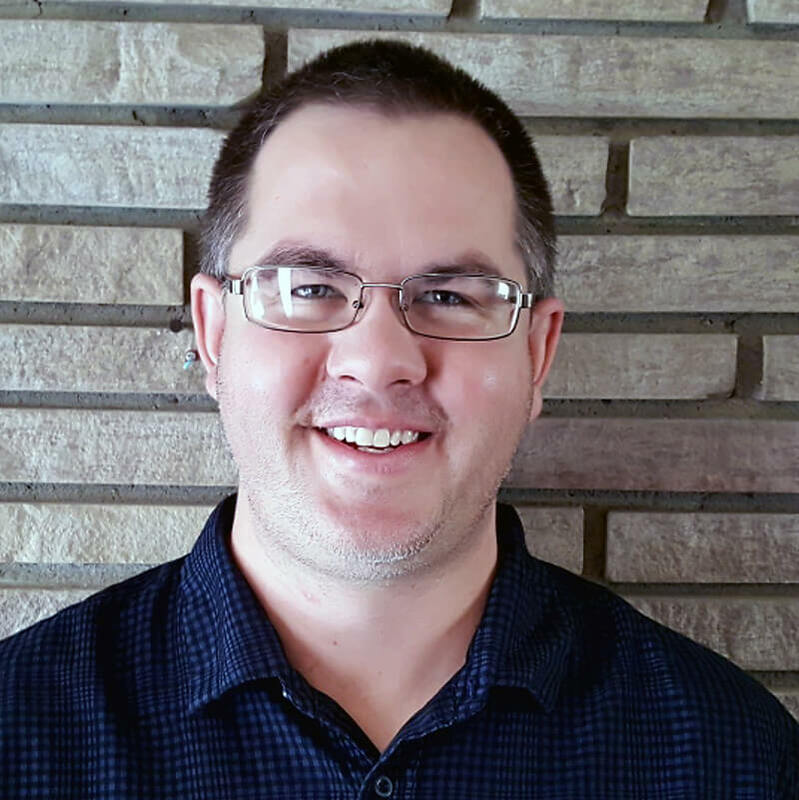 Tire costs are a large expense for mining operations, and keeping yards and haul roads clean can greatly reduce the root cause of excessive tire costs which is damage causing debris. Reducing the amount of damage causing debris can reduce overall tire expenses. Tire damage and flats can be excessive because the number of pieces of equipment with tires is high in mining operations and there is also a fairly high debris problem from the amount of mechanization. Reducing metal debris problems reduces not only tire damage and repair costs but it also reduces the associated operational downtime, schedule disruptions and possibility or risk of human injury from the incident or from the repair of the tire. After all repair of tires in a mining environment isn’t as simple as changing the tire on your car. Picking metal debris is a good thing for business..
Mines not only have to be concerned about their roads and yards and their equipment, but they also have to be concerned about trucks entering the sites for supply and distribution purposes. These vehicles can’t be flat proofed and yet have to access at least a portion of the site. 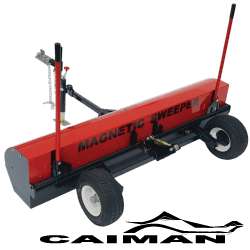 Mines may have outside areas and yards and long roads that have to be kept clean and the best way to do this is with a large, wide and powerful magnetic sweeper to cover large areas quickly and be able to pickup even the toughest debris. What do the staff of Bluestreak have to say on the subject of mining site magnets? 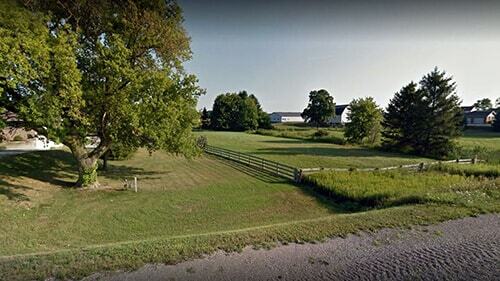 If you have a lot of debris and dirt/gravel conditions consider a Debris Digging Rake (DDR) as an accessory. The DDR slides on over the trailer tongue just in front of the magnet and the depth can be set to disturb or dig the ground past in front of the magnet. Loosening up the debris allows the magnet to pick it up easier. It has the added benefit of being able to see which areas you have swept for debris already and at the same time grooming and smoothing out roads and lots. 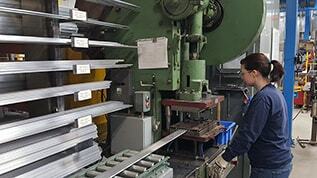 For a details flat tire cost savings analysis and payback period. With Spring Assisted Dual Release Handles! 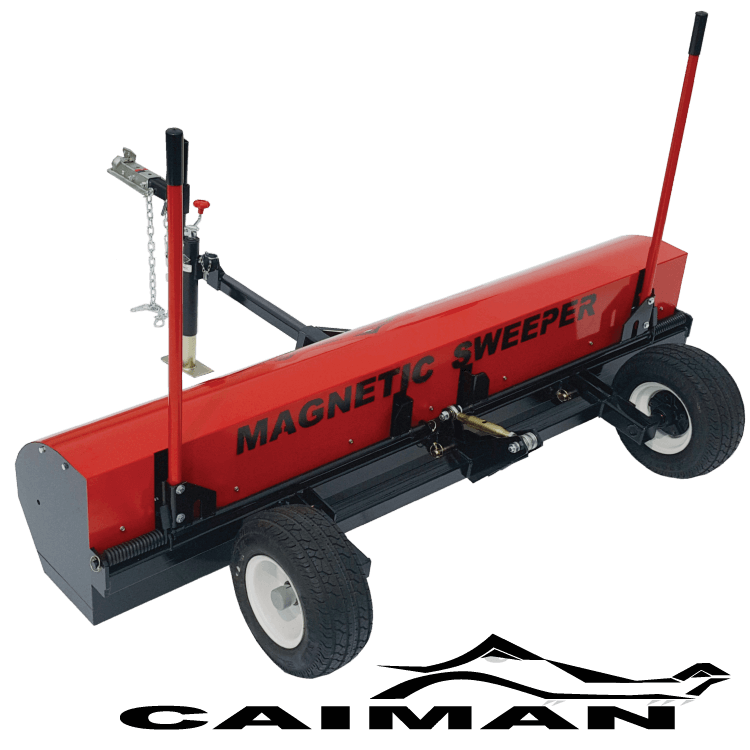 The Caiman magnetic sweeper uses a Debris Release Lever Spring Assisted Clean Off System to clean off the magnets. Clean off takes only seconds. To clean off the Caiman when it is full of metal debris, just pull down on the spring assisted clean off handle for each magnet. The Caiman has solid pick up performance in off road conditions provided by the “wrap around” design, the adjustable sweep height, flat proof tires, adjustable hitch height and optional debris digging rake accessory. The Caiman is smaller and lighter than the Aardvark and is a good choice for towing behind UTVs or smaller vehicles. Clean debris off with a push of the button! The Aardvark magnetic sweeper has a fully enclosed magnet which means you don’t have to worry about metal getting all over the magnet. It’s also easy to clean off with a push of the button! 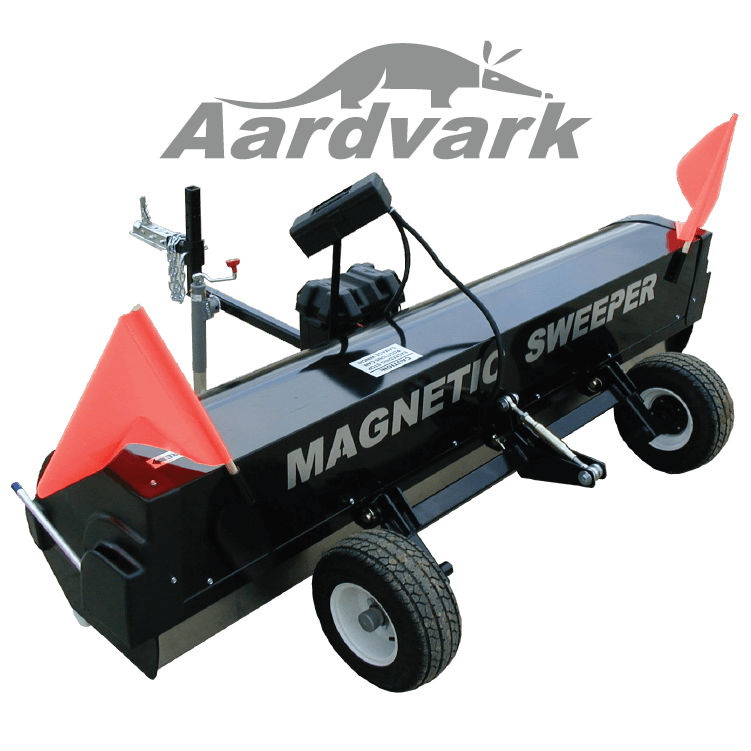 Designed with Push button automatic clean off an eight foot wide almost 600lb magnet with an ability to pick up a nail from twelve inches, the Aardvark is formidable. Inset wheels, flat proof tires, safety flags, large “MAGNETIC SWEEPER” signage, continuously adjustable sweeping height, adjustable hitch height, skid plate and bash bar, wrap around feature and optional debris digging rake round out the Aardvark’s off road readiness features. Maximum Lifting Height 10 1/2" 12"